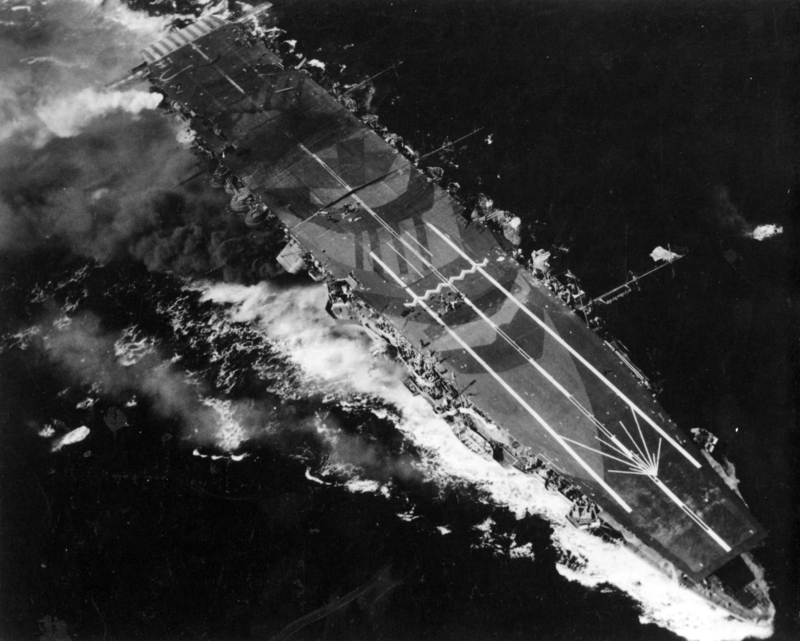 Dimensions 674'3" by 59'9" by 21'7"
Modification 1943-9: Flight deck lengthened to 632' (193m). 4x2 25mm guns removed and 16x3 25mm guns added. Type 21 radar installed. In 1944 the antiaircraft armament was again increased by 20x1 25mm guns and 6x28 antiaircraft rocket launchers. The Zuihos were completed in 1940 and 1942 as conversions from Tsurigisaki (Shoho) and Takasaki (Zuiho), which had originally been constructed as 9500-ton submarine tenders as part of the Japanese "shadow program". These submarine tenders were designed for rapid conversion to either light carriers or oilers as needed. Takasaki was never completed as a submarine tender, being reconstructed while still on the ways as a light carrier. The Zuihos were undistinguished ships, with small air groups, only modest speed, and no island. Willmott (1983) assessed them as the worst of the converted carriers. 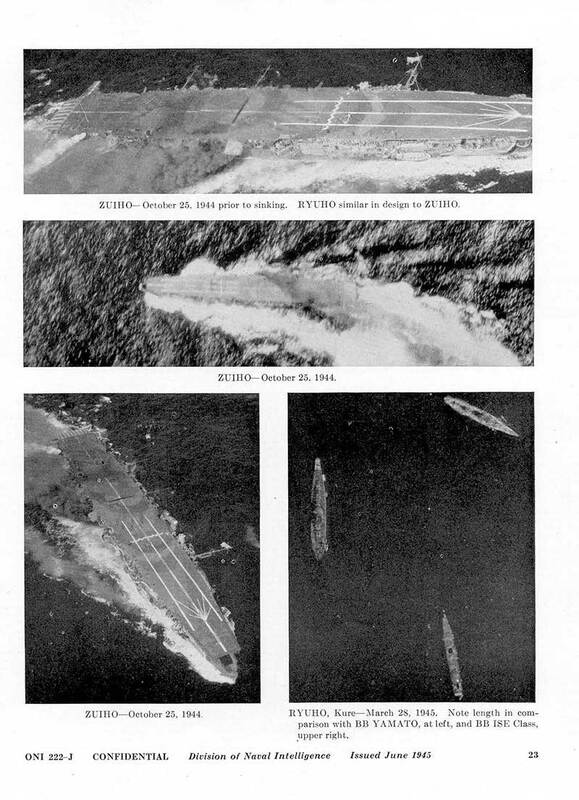 The ships retained their 350' seaplane hangars, but replaced their original diesel machinery with destroyer machinery. The flight decks narrowed considerably at their forward ends, giving them a distinctive pointed shape.